Emergencies cannot be controlled no matter how careful a person is. Whenever you get on the road, there is always a possibility of being locked out of your car. You stop at a restaurant and in your excitement to eat your favorite meal you leave the keys locked in the car. Lockouts can be stressful and if you don’t have a back-up, the stress levels can increase further. We, at Elite Locksmith Services, understand what a person goes through during an emergency lockout and aim to provide our customers the best services. We’ll send our mobile locksmith units that are equipped with all the latest equipment capable of making transponder keys, and repair any kind of damage. We will gain access to your car and you will be back on the road in no time. 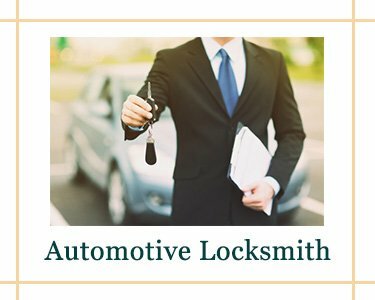 Our offices have the best automotive locksmiths in the city; they are familiar with the lock and key systems of almost every kind of car or truck. The equipment in the mobile unit is rated to make new keys of every variety, in case it is more expedient to simply make you a new set of car keys. For access issues, the mobile unit is also outfitted with a laser for getting inside the vehicle if other methods do not suffice. With our 24/7 automotive locksmith services, you will be back on the road rapidly. Technology that we have in our cars is constantly changing and improving. Nowadays, every modern car has transponder keys that are specially programmed for every car. These keys are unique for every car and this makes it difficult for a thief to replicate the key. In the case of a lockout, you would want to replace your existing keys or gain access to the existing ones. 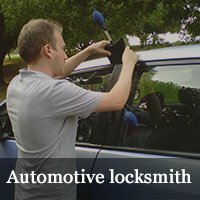 Our locksmiths are trained and know how to program your car keys to correspond to your on-board computer. If your keys have been stolen or you think you have misplaced your keys, you don’t have to worry about it. We will erase the codes on your old keys and reprogram them to accept the new codes. In the case of an automotive lockout in the middle of nowhere, your options are limited. You will either call someone at your home to get you a spare key or contact a vehicle towing service to tow your car to the nearest mechanic. You can also call your car maker for assistance or take the extreme step of breaking the car window and gain access to the car. These steps are either too expensive or consume a lot of your time. We, at Elite Locksmith Services, are neither expensive nor take hours to reach you. We will reach you instantly and get you inside your vehicle instantly. So, before breaking the window, try our services, you won’t be disappointed. We offer so many options for entry issues – all in one visit– to give you the most cost-effective and applicable solution. We have years of experience with motorists who’ve been locked out of their vehicles at the worst times and helped save the day by making the restoration job quick and painless, allowing them to be back on the road shortly after they first had an entry problem. Be it an ignition repair or car key replication, our auto locksmiths handle every job effortlessly. Give Elite Locksmith Services a call and experience our impeccable services!